IT'S MICKEY MOUSE! Come play in the club house with Mickey and friends! Here you can dance, hop and skip around with all your Disney friends. 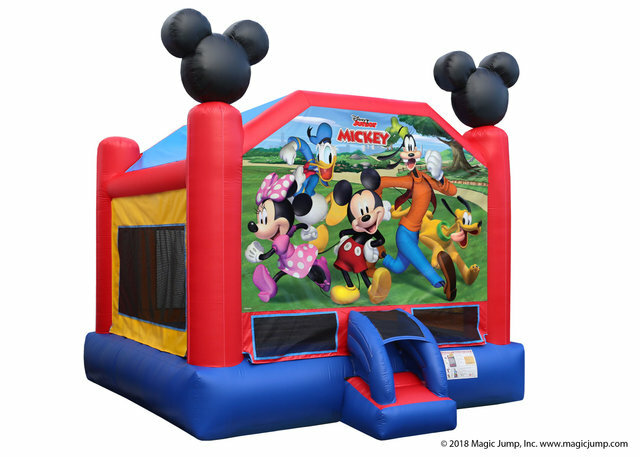 You and Mickey can have a BLAST and jump around in our spacious 16'x15' inflatable. This unit comes with a basketball hoop on the inside and a new safety ramp to ensure rider safety. Lets have some fun with Mickey and friends!